Welcome to Hotel Sergul ! 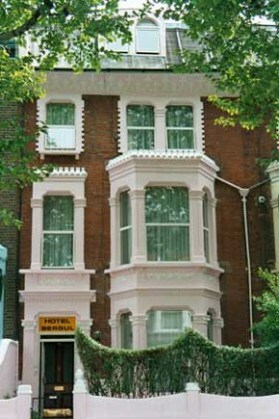 Amongst Hammersmith hotels, if you are looking to stay in comfortable and elegant surroundings, then you will not be disappointed by choosing to stay here at Hotel Sergul. It has been appointed with an interior that reflects a contemporary feel, but which still enables it to easily blend in with the Victorian character of its Hammersmith location here in Brook Green West London, W6. 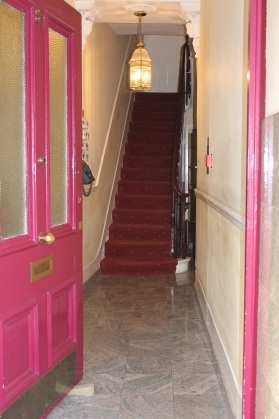 If you want to be close to central London then of the various Hotels you might be interested in, ours is well placed. You will be in such a great West London location, it’s just a stones throw from lovely scenic walks along the River Thames. Where you can visit the Pubs and Restaurants steeped in local history and folklore. Just up the road is the famous Portobello Market and elegant Holland Park where you can enjoy the Outdoor Theatre on lazy summer afternoons. Let’s not forget the more adventurous visitor though and having chosen Hotel Sergul from, you will be pleasantly surprised that not too far away from us, here in West London, you will also find the Natural History, Science and Victoria & Albert Museums. Of course after a tiring day out, you could then choose to relax at the popular Albert Hall for a rewarding concert if you liked. Or continue toward Knightsbridge for a bit of shopping at the ever popular Harrods department store. We are sure you will be satisfied in selecting to stay with us, from the many choices you are bound to have come across. As we hope it will offer you such an endless choice of interesting places to visit and things to do close by us here. That will suit everyone’s tastes! So please feel free to either use the information on the CONTACT US page, to phone us at the Hotel Sergul. Or the form on the BOOKING ENQUIRY page, to ask about availibility for a booking, if you know what you need. We would be happy to offer advice on planning your stay with us.